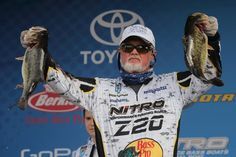 The Commando format is simple: Each angler picks a pattern before getting on the water, and then we see who catches the most fish. 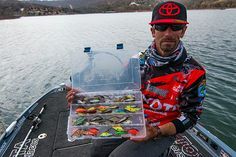 For this particular show Chad picked a great year ‘round smallmouth pattern: 3.5-inch Berkley Power Tubes while I picked jerkbaits, specifically the new Cutter 110+. Berkley’s Cutter 90+ in Chameleon Vapor pattern.The 3.5-in., 3/8 oz. bait is the smallest in the three-model jerkbait family. Berkley’s Cutter 90+ in Ghost Vapor pattern. Berkley’s new Cutter 90+ in Ghost Vapor pattern. The 3.5-in., 3/8 oz. 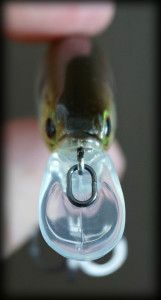 bait is the smallest in the three-model jerkbait family. I’m 6’ 2” and I fish out of a Ranger 620FS, so I’m a little higher off the water when I’m fishing off the deck. So, depending on your height and your boat, the key is to look for a rod that is long enough that you can fish the bait with a downstroke without the rod tip getting wet. My go-to rod (an Abu Villain) measures 7 feet and features a soft tip. I like a long rod; I can pick up line faster, and it gives me a little more control of the fish during the fight. Berkley’s new Cutter 90+ in Table Rock pattern. The 3.5-in., 3/8 oz. 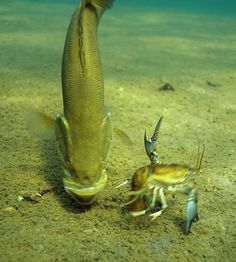 bait is the smallest in the three-model jerkbait family. 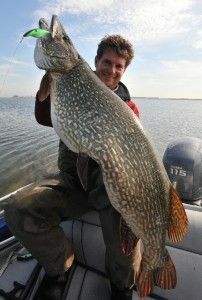 For larger jerkbaits, I prefer a medium-power baitcasting rod, which is 90% of the time. But for finesse situations in clear, heavily-pressured waters, I will step down in bait size and use a spinning rod. But no matter which you choose, the rod should have enough backbone to move the jerkbait. I like a 7’ medium-action rod with a softer tip, which allows slower bait movement at the start of each rip (doesn’t seem to spook as many fish). A softer tip is more forgiving with hooked fish; you’ll land more fish. 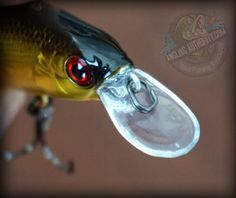 Unlike most jerkbaits, the three baits in the Cutter Series feature a coffin-style bill—a complete departure from traditional jerkbait design—for an action all their own. It’s almost like an underwater walk-the-dog with a slight side-to-side roll. And bass crush ‘em.